Blacktye is Ireland’s premier and leading function wedding band. There versatile selection of music styles is second to none some of which include pop, rock, soul, modern, jazz, and so much more. They are a talented, lively, and an experienced group. Perfect Day Band comprises of both male and female lead singers up front and the one band in Ireland to comprise of this. They are fun, energetic, and interactive which will make an amazing atmosphere at every wedding. The Buachaills will cater for all types of wedding music some of which includes rock hits, country, ceilidh classics, and so much more. Their energy with every performance is second to none and they will have your guests buzzing with excitement every time. They offer the ultimate wedding package even including a photo booth to entertain your guests. Top of the Popz wedding band comprises of a young, energetic, and talented 4-piece band. They are a contemporary and exciting wedding band. Their music will cater to all age groups. If you are looking for a professional service and a great night of entertainment these are the guys for you. The Suite wedding band will exceed your expectations everytime they perform. They are one of the leading wedding bands Ireland has to offer. They are all exceptional musicians, offer all-around entertainment, sharply dressed, and offer an impressive list of songs to cater to all ages. There professionalism and energy will have your guests up on their feet dancing from start to finish. They deliver an outstanding performance everytime they perform. They are an interactive and fun band and play real music to suit everyone’s needs. Playlist is your dream wedding band and consist of 4 outstanding musicians and vocalists. They are a totally live wedding band who will knock your socks off with their entertainment skills. They offer the experience and entertainment that will cater to all guests no matter what age. They offer a wide selection of different music styles from chart-topping hits, classics, and so much more. They are the band for you if you are looking for an unforgettable show at your wedding. Electric Blue Band consists of a 5-piece live act band and is the perfect addition to your wedding day. They perform all genres of music to keep your guests entertained. They are available throughout Ireland and are sure to keep your guests dancing till all hours of the night. The vinyls have over 10 years of experience in the music industry and consist of 4-piece crew band. This band is a wedding band for music lovers. They play all types of different music from Bruno Mars, AC/DC, Elvis, and many more. They are all exceptionally talented people and are dedicated to filling your dancefloor all night. Back Beat Band is an entertaining and engaging live wedding band. They are all superb musicians and have many years of experience in the music industry. They are nothing short of spectacular when it comes to entertainment and their performance. You and all your guests are guaranteed an amazing night to remember. 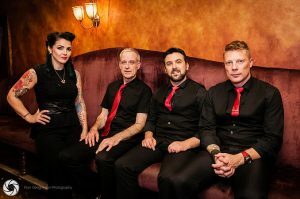 Pink champagne is an award-winning wedding band in Ireland and brings years of experience to the wedding industry. If you want your dance floor full then these are the band for your wedding day. They bring quality service and experience to every wedding. Panic Animal has become one of Ireland’s wedding band sensations. If you are looking to have the dance floor full all night and an exciting party atmosphere this band should be your number one choice. Their music caters to all tastes and age groups. They understand how to entertain a wedding couple and their guests to the maximum. They know their music inside and out. You will be offered a night to remember and memories that will last a lifetime. You’re looking for an award winning band with verified five star reviews from real couples. You want a band that has the experience, expertise and entertainment factor to cater for all your guests no matter what generation. You need a versatile band with a vast repertoire that includes all the very latest chart topping hits as well as the all time classics and everything in between. Essentially, you’re looking for your dream band! You’ve found them 🙂 PLAYLIST tick all of these boxes and more to deliver an unforgettable show at your wedding. Blacktye is Ireland’s most versatile and premier function wedding band. They offer a wide range of versatile music styles which include rock, pop, soul, modern and nineties dance tunes, jazz, and even a bit of Ceili and waltz. If you are seeking a lively, talented, and experienced group, then these are the people for you. Perfect day band is the only full-time group in Ireland that comprises of both male and female lead singers up front. They have become renowned for their outstanding talent, exceptional vocalists, and being the most interactive group with an audience. They don’t just sing, they will create an amazing atmosphere at every wedding. The Vinyl’s are a 4-piece crew with over 10 years of experience filling dancefloors in Ireland with exceptional music. They are a wedding band for music lovers. They can play a variety of different styles of music from Elvis to Stevie Wonder, Bruno Mars, AC/DC, and many more. They are dedicated to filling your dancefloor and taking care of great music. Gossip band is a 5/6-piece wedding band consisting of both male and female vocalists. 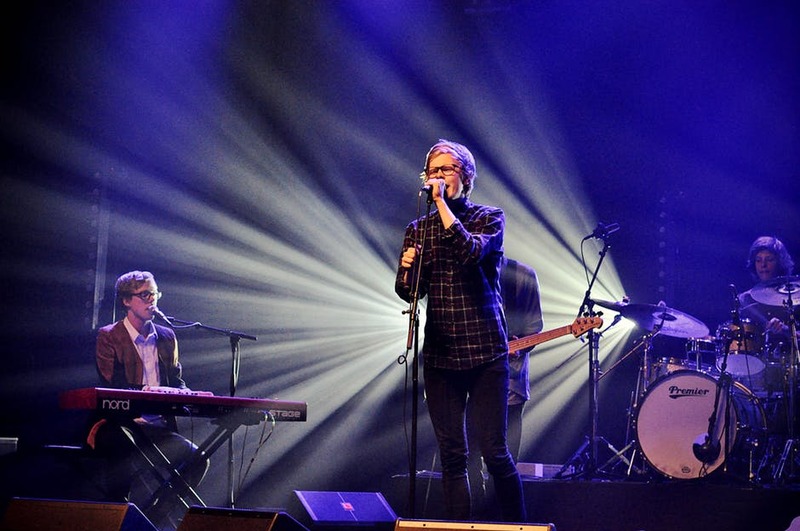 They have become one of the best sought after party bands in Ireland. They can play a huge array of different styles of music from classics to contemporary. They are complete entertainers and will guarantee an exceptional performance every time. The suitcase trio will take function music to a whole new level. They have a very diverse set list of songs with everything from rock hits, 90’s dance covers, and so much more. They promise to keep the dance floor full and everyone in party mode with their unique sound and amazing performances. The Hitmen Trio are a multiple award winning 3-piece wedding band. There passion, energy, and originality will keep your dance floor full and rocking all night long. They only perform with amplified acoustic instruments which would create a sound like no other. If you are seeking a unique group of entertainers, then these are the guys for you. The Buachaills take pride in themselves in providing high-quality entertainment for weddings. With every live performance, the audience will be buzzing with excitement. They will cater for all music types from country, ceilidh classics, rock hits, and many more. They offer one-stop shop ultimate wedding package with everything included, even a fun photo booth. Blue Moose “A Moose Bouche” they will take your special day to a whole new level. They are a high energy rock and pop band that provide classic wedding floor fillers with rock, waltzes, disco, and much more. If you want your guests strutting their stuff all night, then this is the band for you. They have become one of Ireland’s greatest sensations for entertainment and DJing. Panic animal should be your number one choice as they can create a party atmosphere and get everybody on their feet dancing. With their years of experience, they understand how to entertain an audience and most importantly they know their music. A few good men are known for their reputation for exciting entertainment and are one of Ireland’s leading and most popular wedding bands. If you are looking for the simple wow factor, totally unique entertainment, and a set list of music to suit everybody, it simply must be a few good men. Pink Champagne – We fill dance floors are an awarding winning wedding band in Ireland. Every award that can be won has been won by this band. Together with same band members for over 17 yrs is testament to the quality of service and experience they bring to every wedding. Ireland’s leading 5-piece live wedding and party band. This group is the perfect solution for all your entertainment needs. A very versatile band performing all genres of music with a modern approach to every performance. They offer great wedding packages which include everything from the band, DJ, and the ceremony music. With Anchormen, you get three professional singers and musicians. They are experts at keeping the dance floor full all night with their medley of different music from old school rock, jive, swing, country, pop, funk, and many more. They can guarantee a party that you will remember. The trips are a rare wedding entertainment band that will consistently deliver an outstanding performance every time. They are fun and interactive performers playing real music that will have your guests on the dancefloor right from the beginning. The LOL’S are 100% committed to making every performance an outstanding success. As an entertaining and energetic group, they take pride in delivering world-class performances at every venue every time. They are what you call entertainment at its best. The Suite is one of the best wedding bands on the scene who will meet your expectations every time. They are all fantastic musicians, sharply dressed, offer all-around entertainment and offer an impressive set list of songs to suit all needs. 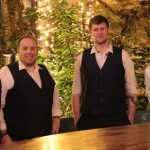 Blush Wedding Music are a great band that offer great package deals for band, choir, pre-reception, and DJ services across Ireland. They play great music, and everyone will have a cracking time. If you are seeking a night that is extra special, these are the people for you. The Ratzinger’s are a hugely popular wedding band in Ireland. They provide an unforgettable and energetic show every time. They are renowned for their impeccable track list, attention to detail, and reliability. Backbeat will go that extra mile for everyone to ensure the entertainment and their performance is nothing short of spectacular. Entertainment and Music are what they do. They can guarantee guests of all ages a night to remember with their amazing repertoire of songs. 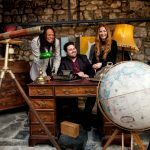 The favours can offer an exceptional repertoire of songs, excellent stage presence, snappy suits, and unforgettable sound and experience. The Electrix have a vast amount of experience in the music industry and are an award-winning wedding band. They can tailor their song set list to suit your needs and can offer everything from modern to classic hits. They will make your night one to remember. Wedding Band reviews Ireland is the best place to do your research for a great wedding band and read real reviews about Wedding Bands in Ireland.